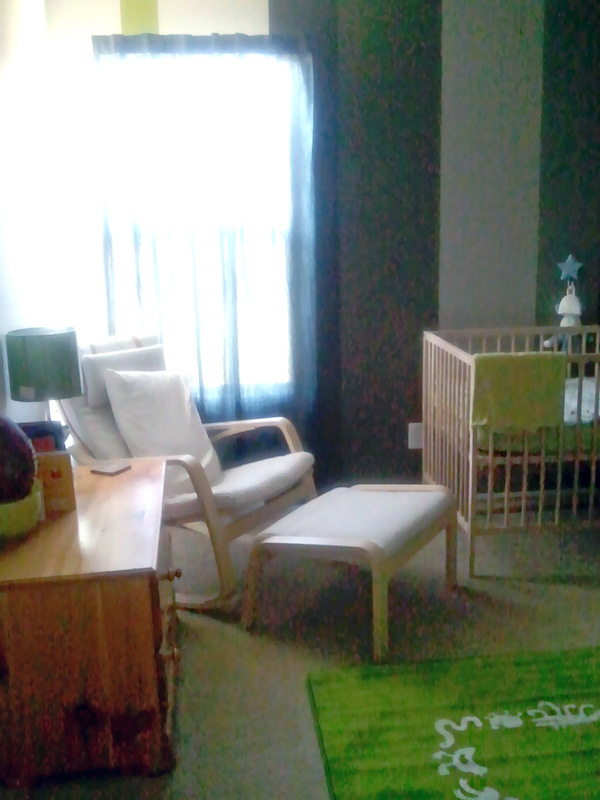 I wanted to share Jax’s nursery that my husband and I put together. 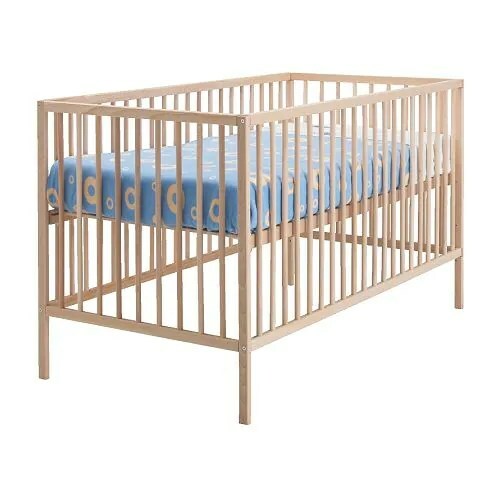 We knew we wanted to have a fairly cheap nursery (around $500-$600), so of course we went to the most logical place for cheap furniture- IKEA and what we already owned (thrifts & used baby goods stores area always good too!). CHOOSING THE PAINT: We used a low VOC brand (Sherwin Williams) and multiple gray tones on the same paint card to keep a cohesive look. I made a template for painting stripes (what paint color to use where and how wide they were). 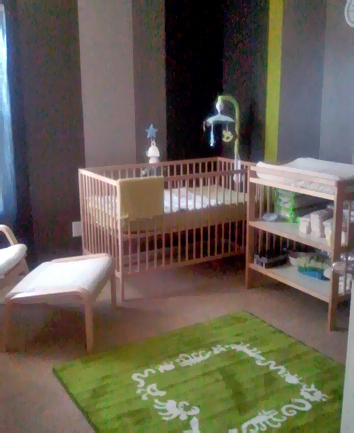 RB (my husband) did most of the painting and putting together of furniture, since i was pregnant at the time. He also did it while I was away on a business trip to lower my exposure to VOCs. Gray always says modern to me when done right. It’s sleek, but not as shocking as black. And for some reason, I really was into this green color- normally I don’t like green. I love combining gray tones with natural wood. I also tend to like saturated colors when I do use color. Here’s more pics (sorry for the graininess- I used my cell)! 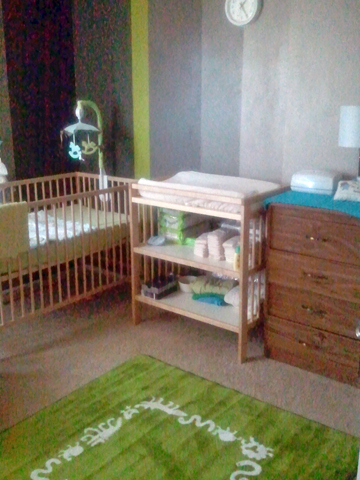 I think we did pretty good for our first nursery! We got the mobile and some other things throughout the room from my mother in law and my mother helped with the furniture. The tall dresser was my husbands and the little trunk next to the rocker is mine. I bought two cheap lamps and a $5 clock at target. Since taking these pictures, I’ve also hung up some cute artwork by my nieces & nephew on my husband’s side. They drew some cute pictures of me and Jax while I was pregnant. I’ll have to post those at a later date since I am up visiting Meg right now! The two walls you don’t see are white, and one has a UofA “fathead” helmet on it (had to incorporate my husband’s love for his alma mater).